met Rebekah and her sweet mother at a bridal show at The Smithfield Center in Smithfield, Virginia. McEllis Brides had a stunning all-over lace, champagne, and ivory wedding gown on display. It was the first thing you saw as you walked in. We borrowed an office for a fitting room, and I began to lace up the corset back wedding gown. Rebekah then gave me her background story as to why she didn't have a wedding date set. Her “spouse-to-be” was in the United States Navy. Due to his schedule, it was hard to set a date. I quickly assured her that she was in good company. Being a Navy wife myself, I understood and just explained that waiting is a part of the process. Once Rebekah was fully dressed, the gown was more beautiful on her than she ever imagined! It was love at first sight. They talked it over and decided they couldn't leave without it. Whenever they decided on a date, she would have her dream gown! 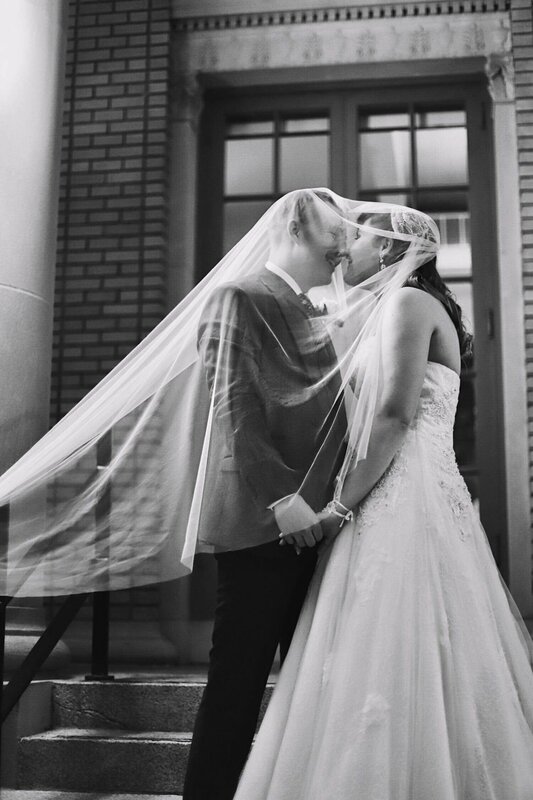 Just seven short months later, Rebekah and Caleb were married on May 15, 2018 at The Historic Post Office in Hampton, Virginia. 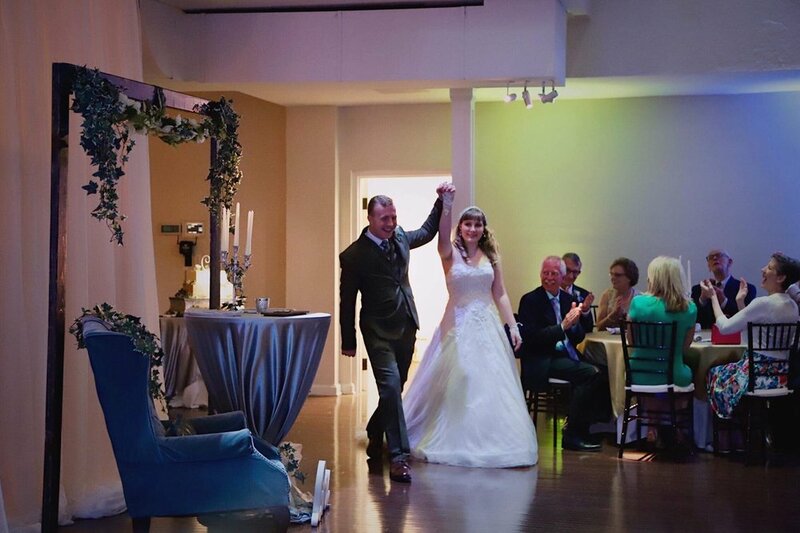 Married life is going great, and the couple hopes to adopt a golden retriever soon. Congratulations Mr. & Mrs. Casto! Thank you for your service. We wish you two all the best!